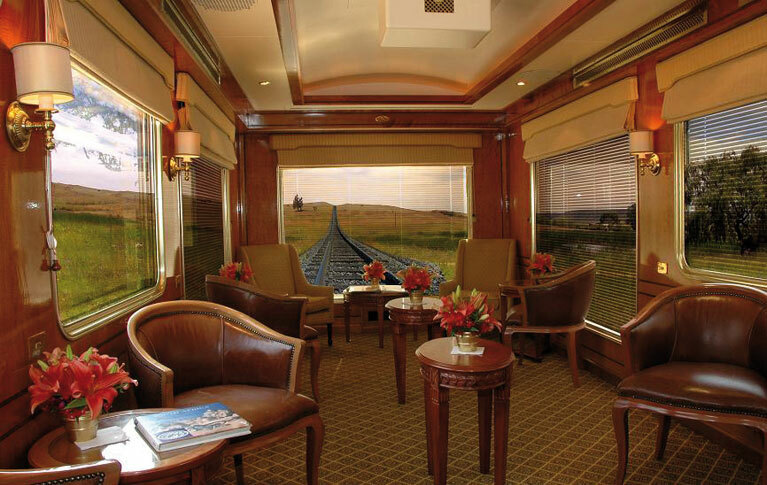 Guests arrive at the Blue Train VIP lounge – Pretoria Station. 07:15 Welcoming and safety briefing and announcements are made – Train Manager. 07:30 Boarding commences. Butlers will usher guests to their suites. 08:30 The Blue Train departs from Pretoria to Cape Town. 17:10 The Blue Train arrives in Kimberley Station. THE WHOLE GROUP UNDERTAKES A TOUR OF THE OPEN MINE MUSUEM WITH A TOUR GUIDE. Guests are first taken to view interesting and historical sites. The Blue Train departs Kimberley Station for its southbound journey to Cape Town. Dinner is served in the Dining Car. Breakfast is served in the Dining Car on a first-come-first-serve basis. Breakfast is served while The Blue Train is traversing along the scenic Cape Winelands areas of De Doorns, Hexrivier and Worcester. 12:00 – 14:45 Lunch is served in the Dining Car. The Blue Train arrives at Cape Town Station and guests disembark. DAY 3 09:00 – 21:00 Guests will spend the day at their own leisure at Kenilworth Race Course, to enjoy J&B Met Hospitality and after parties, thereafter, will be transferred back to Cape Town Station to board The Blue Train. Guests are transferred back to Cape Town station to board The Blue Train and guests will travel in the same suites that they were booked. Snack platters will be served to the guests, thereafter, they will enjoy Cognacs and Cuban cigars in the Club Car before retiring to bed. 00:00 The Blue Train departs Cape Town Station for Pretoria. DAY 4 06:30 08:00 Breakfast is served in the Dining Car on a first come-first serve basis. Guests will enjoy an off the train excursion at Matjiesfontein. On arrival at Matjiesfontein, guests are, invited for a glass of sherry at the bar. The sherry glass engraved with The Blue Train logo is a memento for guests to keep. The Victorian buildings and original nineteenth century London lampposts impart to the traveller, the uncanny sense of entering a colonial time warp – an oasis suspended in a different era or time. 10:00 The Blue Train departs Matjiesfontein for its northbound journey to Pretoria. 12:00 – 15:00 Lunch is served in the Dining Car. DAY 5 07:00 – 10:00 Breakfast is served in the Dining Car on a first come-first serve basis. The Blue Train arrives at Pretoria Station and guests disembark. 14:00 Welcoming and safety briefing and announcements are made – Train Manager. DAY 2 06:30 – 09:30 Breakfast is served in the Dining Car on a first-come-first-serve basis. 10:00 The Blue Train arrives at Durban station and guests disembark. GUESTS SPEND SATURDAY OFF THE TRAIN TO ENJOY DURBAN JULY FESTIVITIES & HOSPITALITY AT GREYVILLE RACE COURSE. DAY 3 17:00 Guests are transferred back to Durban station to board The Blue Train. Guests will travel in the same suites that they were booked. 18:00 The Blue Train Departs from Durban Station to Pretoria. 17:15 Welcoming and safety briefing and announcements are made – Train Manager. The Blue Train arrives in Bloemfontein. 21:00 Guests will return to Bloemfontein Station for an overnight stay on- board The Blue Train. DAY 3 06:30 – 09:00 Guests are transferred back to Durban station to board The Blue Train. Guests will travel in the same suites that they were booked. 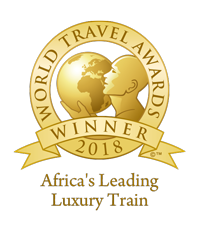 17:00 Guests are transferred back to Bloemfontein station to board The Blue Train and guests will travel in the same suites that they were booked. The Blue Train departs from Bloemfontein Station to Pretoria Station. DAY 4 06:30 09:00 Breakfast is served in the Dining Car on a first come-first serve basis. 07:30 Welcoming and safety briefing and announcements are made – Train Manager. 09:00 – 12:30 Brunch will be served in the in the Dining Car (two brunch sittings). 14:00 The Blue Train arrives at Sun City Halt, guests disembark and are transferred to Sun City to attend the Nedbank Golf Challenge or various leisure activities in Sun City. Guests are transferred from Sun City by shuttle services, to Rustenburg Train Station for an overnight stay on-board The Blue Train. DAY 2 06:30 – 09:30 Breakfast will be served in the Dining Car on a first-come-first-serve basis. 10:00 Guests are transferred from Rustenburg station by shuttle services, to Sun City to enjoy Nedbank Golf Challenge and hosting at Gary Player Country Club/Hospitality Areas. Guests enjoy hospitality and hosting at Nedbank Golf Challenge. 20:00 Guests are transferred from Sun City by shuttle services, to Rustenburg Train Station for an overnight stay on-board The Blue Train. Guests are transferred to Sun City to enjoy Nedbank Golf Challenge and hosting at Gary Player Country Club. 22:00 Guests are transferred back to Sun City Halt to board The Blue Train. Guests will travel in the same suites that they were booked. The Blue Train departs from Sun City to Pretoria Station. Guests will enjoy snacks and drinks served at any one of our exquisite lounges and also Cognacs and Cuban cigars in the Club Car before retiring to bed.